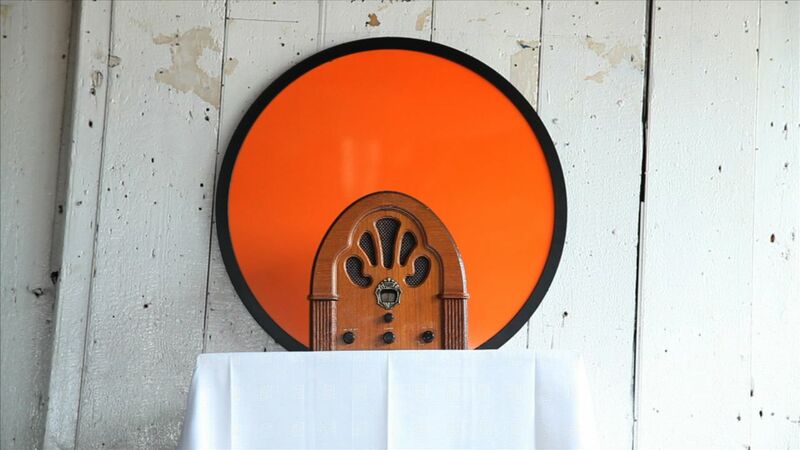 The installation is inspired by early surrealist radio programme of Robert Desnos in 1937 produced La Clef des Songes [The Key of Dreams] the programme invited listeners to submit their dreams for interpretation and dramatisation, encouraging highly poetic responses from this interaction. Desnos wrote that an invented radio dream delivers the same secrets as a real one. For this event I’m recorded a series of 4 dramatic radiophonic dreams which the pot will micro broadcast in the V and A visitors can listen with FM devices on phones or the radio they have made. 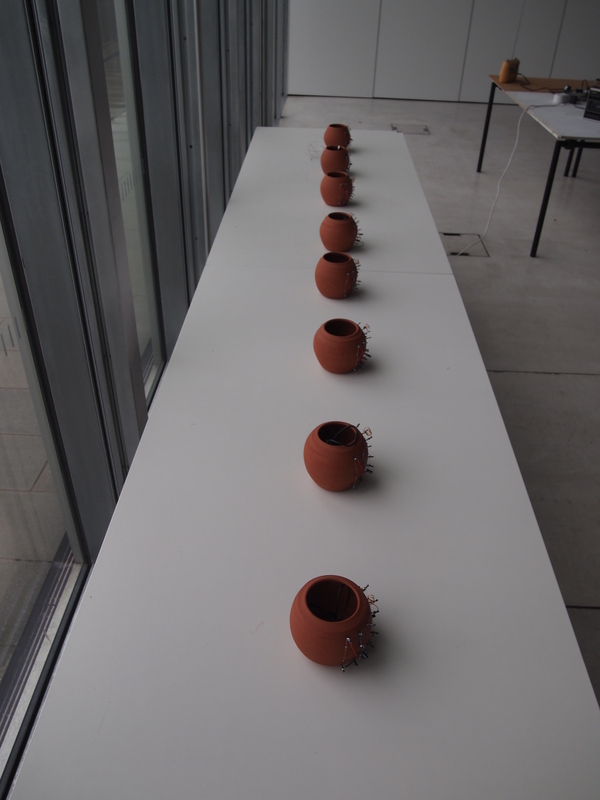 Ceramicist Maggie Williams created the pots to my specification so I could make them into transmitters for this set of dream vessels. 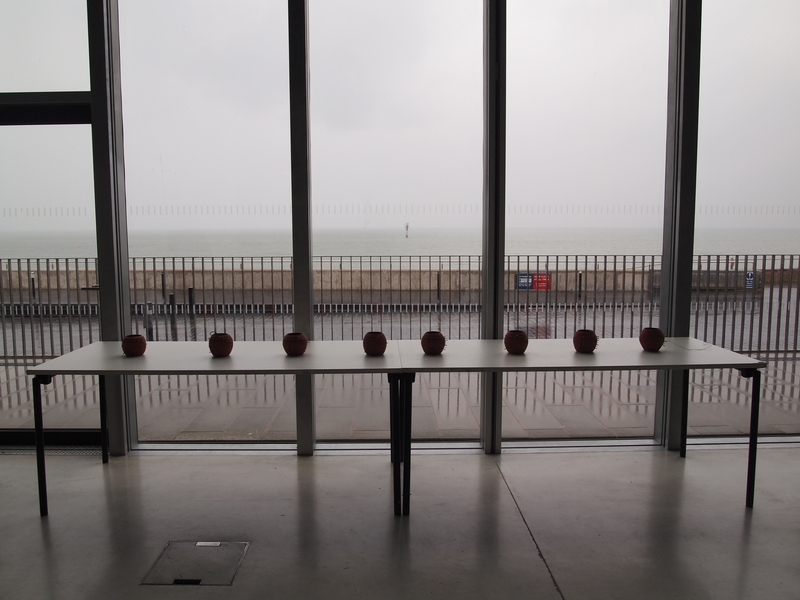 FM transmitter curcuits were built onto the vessels during a Radio Arts workshop I ran at the Turner Contemporary see below. This new version of the work features dreams of Ellen Brooking, Alex Jueno, Ben Rowley with music from Xylitol. 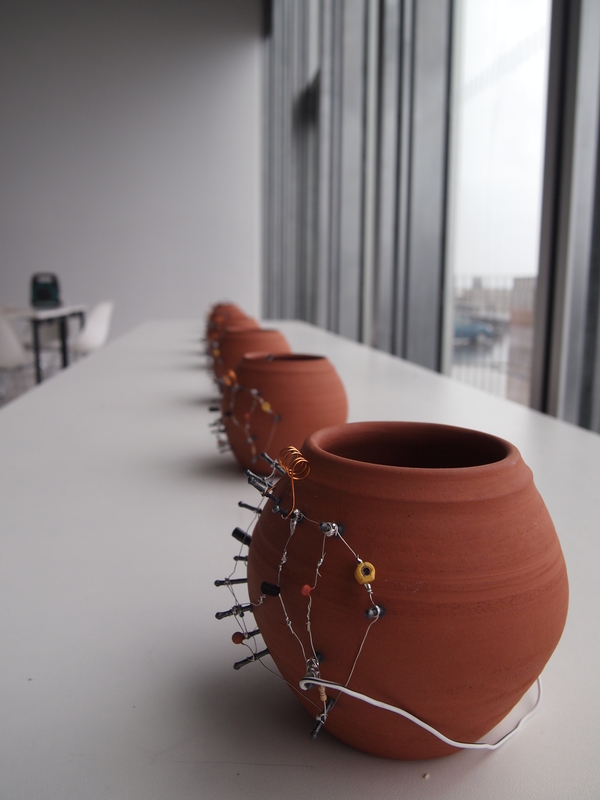 I worked with ceramicist Maggie Williams, who created to my specification pots for a set of dream vessels for a new participatory work which was built during a Radio Arts workshop at the Turner Contemporary. 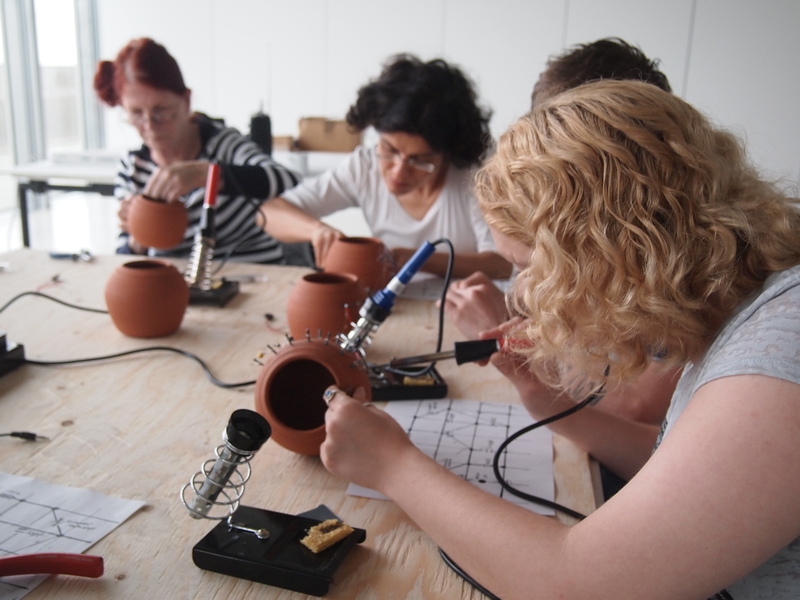 The project was inspired by early surrealist radio, a book about a talking pot by Tibor Fisher The Collector Collector and Grayson Perry who is on showing while the workshop was happening. 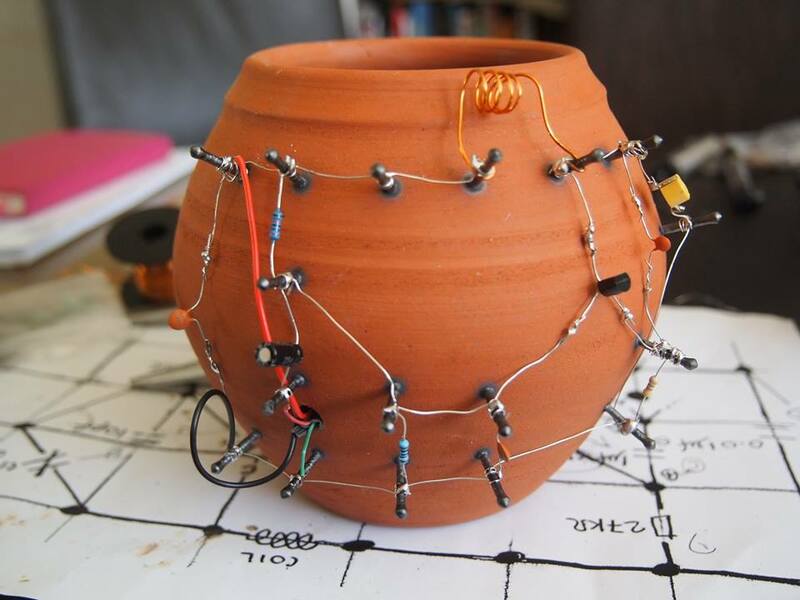 Tim Pickup and Jim Backhouse helped run the workshop where we instructed participants how to build transmitters onto the pots and then record their dreams so each pot could broadcast them on FM.